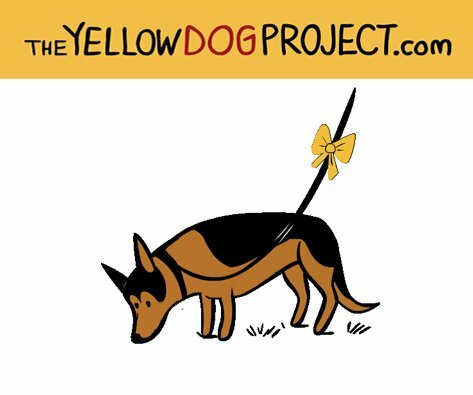 Have you seen dogs with a yellow ribbon tied to their leash or a yellow leash with “nervous” embroidered on it? These are two ways dog owners are signaling the pet at the end of the leash needs extra room. These are not necessarily dangerous animals. There are many reasons an owner may need extra space; the pet could be convalescing. The dog could be in training and needs extra space in order to concentrate on the new behaviors. The yellow ribbon or halter could signify a nervous and uncomfortable dog with strange people and animals. Of course it’s always good to ask permission before petting someone’s dog—yellow ribbon or not. Doing so is just one way to help prevent some of the estimated 4.5 million dog bites that happen every year in the United States. 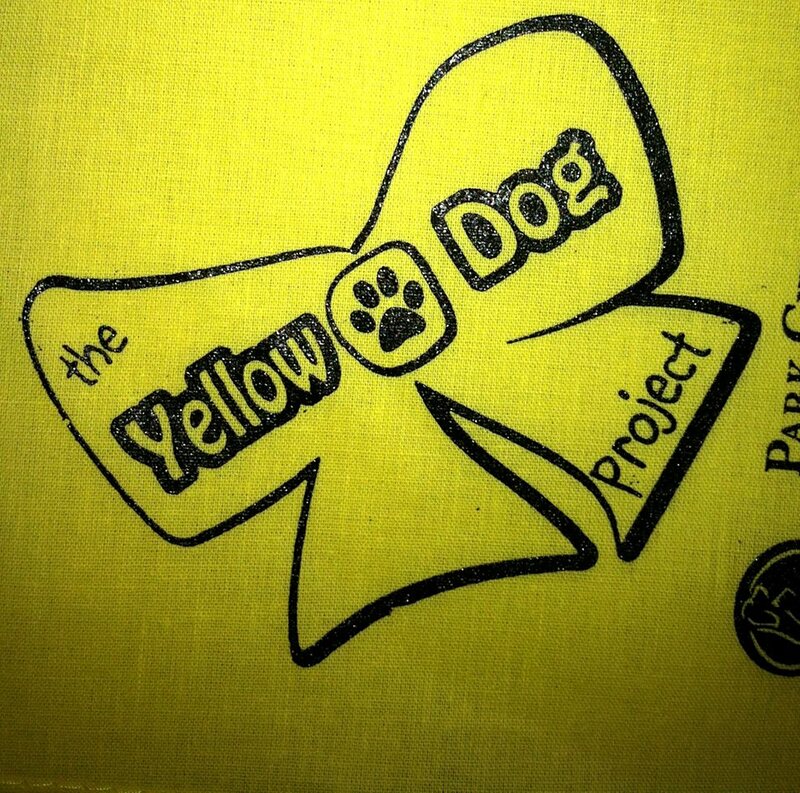 The Yellow Dog Project is using Facebook and other social media to spread the word that a dog sporting a yellow ribbon, harness or kerchief may not be safe to approach and should be left alone. There is “Talk Like a Pirate Day”, “Cheeseburger Day” and all sorts of observances that are a lot of fun and without a serious message. But National Tradesmen Day is an annual national celebration to honor the men and women who work with their hands to build America and keep it running strong. It is an observance dear to my heart. Both my father and his father were craftsmen. Carpenters who worked out of a union hall at a time when there were not many tradespeople represented by unions in the Deep South. They spent years in apprentice and training to perfect their skills for the wide variety jobs they completed. I remember Sunday afternoon family drives after church, where my father would point with pride to a skyscraper or school he helped build. It could be a bridge or a courthouse he had contributed to. My father and grandfather knew how to build concrete forms or do intricate finishes. Designers using exotic and expensive woods used in boardrooms or courtrooms knew my Dad could make the cuts and trim out their projects to their specifications. It was a point of pride for him to show off his work to his children. 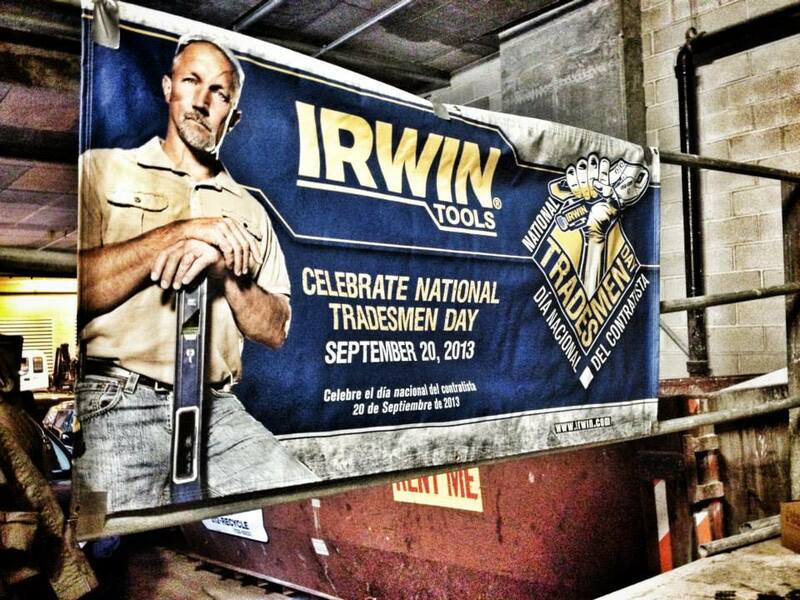 Friday, September 20, 2013 is National Tradesmen Day. It also puts a spotlight on a problem in our nation—one caused by a shortage of people willing to work with their hands. Manpower’s recent talent shortage survey reports that for the fourth consecutive year, skilled trades are the most difficult jobs to fill in the United States. The American Society of Civil Engineers says America’s roads and bridges are in disrepair, assigning a D+ grade to America’s overall infrastructure. Meanwhile, the unemployment rate continues to hover at historically high levels while a critical need for skilled tradesmen exists. Some believe not only does our nation have a jobs problem; America has a skills shortage. At one time, ironworkers and welders were glorified. Photographs of tradesmen eating an open-air lunch on a girder high atop a yet-to-be completed skyscraper take us back to a very different world—one where working with your hands was a dignified way to earn a living. Today, a four-year degree and a desk job are considered the keys to a desirable lifestyle. Most high schools eliminated shop class years ago, and now only six percent of high school seniors consider a career in the trades. The National Association of Manufacturing, The National Center for Career Education and Research and several other business organizations believe more schools should teach students some trades offer challenging careers where they can often out-earn their college educated peers. “It’s time that we once again present the trades as a respectable career option for the next generation. Becoming a trained plumber, electrician, or welder offers a clear and stable career path where working with your hands allows you to contribute meaningfully to our society,” says Rich Mathews, Senior Vice President of Marketing for IRWIN Tools. There are an estimated 600,000 open jobs in the skilled trades, simply because people don’t have the proper training to fill the positions. Many business leaders say they believe our nation is not only facing a job shortage, but a skills shortage. There is still time for entrepreneurs and small businesses to get their share of the federal economic stimulus money. The government’s stimulus measures allow firms that incurred net operating losses in 2008 to carry them back five years instead of the standard two years. This allows businesses to apply those losses against taxes paid in the past and obtain refunds. Companies that got extensions of the filing deadlines can still take advantage of this tax break. You can find interviews and updates on this tax provision of the stimulus at http://www.sbtv.com/IRS. Eligible calendar year corporations have until September 15, 2009 and eligible individuals have until October 15, 2009 to choose the expanded carry-back option. Another part of the federal stimulus effort is an online training course to increase small business participation in federal contracting. The U.S. Small Business Administration is offering the free instruction after small business contracting fell short again. The free course, “Recovery Act Opportunities: How to Win Federal Contracts,” is available at www.sba.gov/fedcontractingtraining. Looking for small business news and tips? Please consider following me on Twitter to learn more about small business issues and events to give you a competitive edge. Just go to http://twitter.com/danitablackwood and click the “follow” button.